We're an independent firm of RICS Chartered Surveyors founded in 1997, providing expert, impartial property advice to clients and customers across London for more than two decades. We have clear values of honesty, quality, and common sense, and will always be available to discuss your unique needs and requirements. 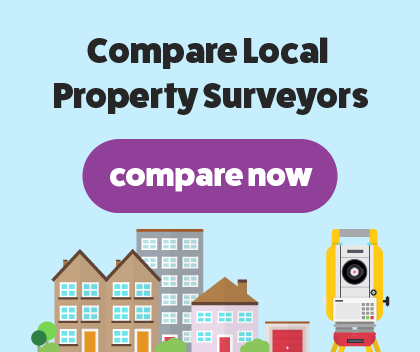 Whether you're a home owner or house hunter, at Harding Chartered Surveyors our RICS Chartered Property Surveyors will provide high-quality and impartial property surveys. As an independent firm we are truly impartial, and will focus solely on our client's specific needs and requirements. We offer a huge range of property services, and are proud to offer both the RICS HomeBuyers Survey and Building Survey to our customers. We use our expertise to craft bespoke reports and advice for our clients, and our RICS Chartered Surveyors are available to talk through your needs directly. We offer impartial help and advice to our clients, and will always be available to assist you. At Harding Chartered Surveyors, we know that purchasing a house is more than just a transaction. This is why our RICS Chartered Surveyors deal with all property surveys with consideration and honesty, putting your particular needs as a client at the very front of what we do. Our home buyers survey is a vital tool for prospective home buyers across the UK, and will provide our clients with a clear, jargon-free analysis of the property's condition. The report will highlight any hidden defects and costly issues, and leave you fully informed on the property in question. Our RICS Chartered Surveyors will be on hand to discuss the findings and your requirements in detail. Our Chartered Surveyors mix their expertise with common sense, explaining complex matters in an easy-to-understand way, and focus on meeting the client's unique requirements. Buying a property is one of the biggest investments you are likely to make in your lifetime, and the RICS Building Survey is the most in-depth survey available for prospective buyers. The report is particularly important for older properties or homes made from unconventional materials, and will uncover any structural issues or defects across the building including the roof and walls. Our RICS Chartered Surveyors use modern equipment to inspect every accessible part of the home. Our reports include photographs and costings for remedial works, and will gauge the likelihood of serious issues arising in the future, allowing you to reduce the asking price.